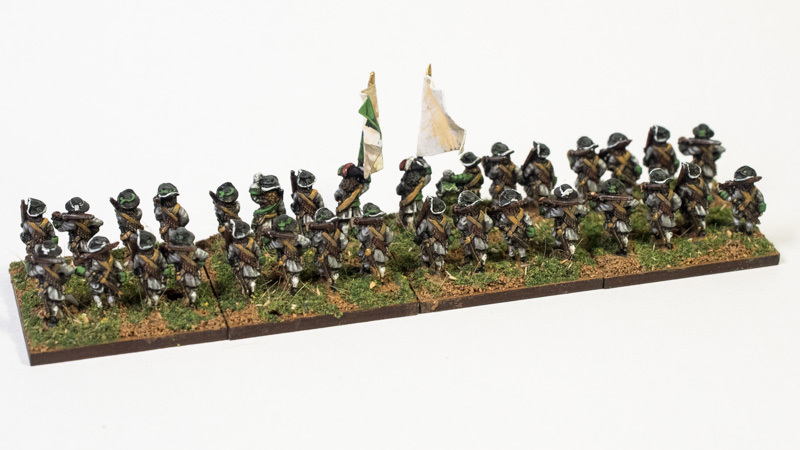 I more or less finished painting the first of my Age of Lace regiments – Louis XIV’s Regiment Lorraine. 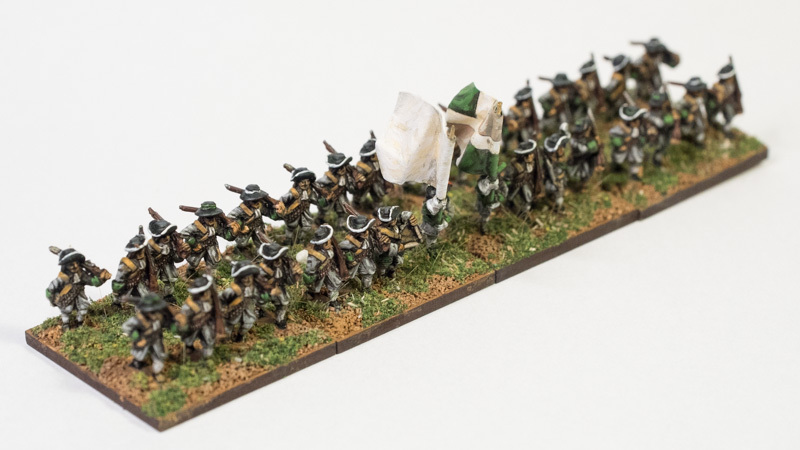 I used 32 figures from the excellent Pendraken League of Augsburg range (Matchlockmen marching). I did not have any pikemen figures, so this must be one of the regiments where the men decided to switch to all musket formation. The basing allows me to use a four base regiment for Maurice, or field them as two regiments for Might and Reason. Regiment Lorraine in 10mm scale. Pendraken League of Augsburg range is an excellent choice for the army of the Sun King. Very nice indeed. Makes me think about doing 10mil myself. I look forward to the rest coming together. Thanks for publishing. Thank you for the comment. The next regiment will probably be red-clad dutch. Looking forward to painting something colourful!